Just letting you know this is a sponsored conversation written by me on behalf of GNC. The opinions and text are all mine. Thanks for letting me share about their NEW brand reopening and well… VEGAN BREAKFAST PROTEIN COOKIES! Gosh. It’s end of January. Has your newness feeling worn off yet? I hope not. Hang on to it. It keeps things moving forward. Speaking of moving and newness (haha my segue is so classic, but that’s beside the point) anyway, so newness …..
As most of you know, we moved to a NEW city, for a new job, and are in a new home. This all happened in on month. Yes, I’m tired but also so excited. We said YES to new things and a fresh start and a chance to embrace change for the good. Change is hard but also so, so rewarding once you’ve gone through it.. Changing up the quality of life, for the better. Changing up core values, so they represent what you are truly passionate about. Do I sound corny yet? Good! Let’s discuss more. 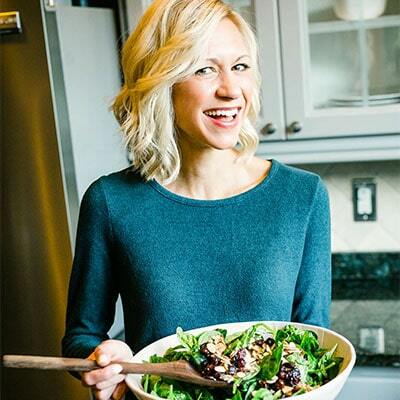 Come sit around my kitchen table, grab a breakfast protein cookie, and let’s chat change, trying new things, and healthy protein packed treats. Mmm k? New things. Like the change that came to GNC stores in 2017. GNC has been around for quite some time. 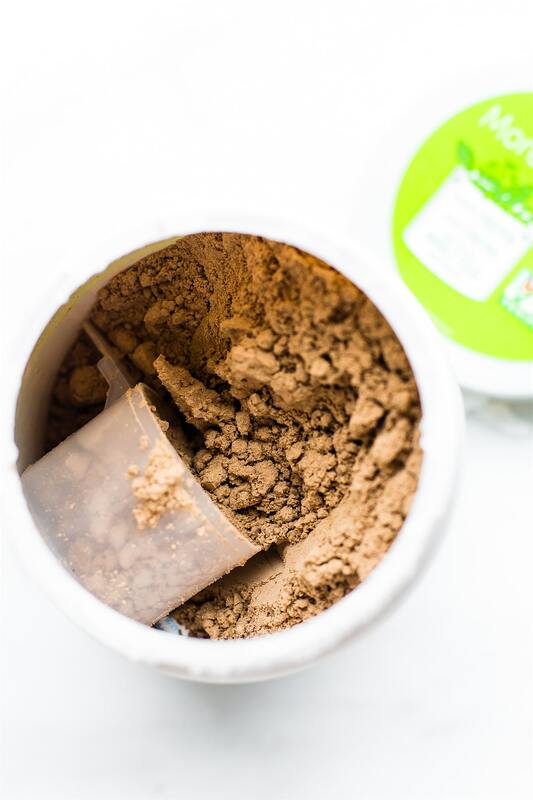 We’ve shopped there for many of our plant protein powders as well as bars for when we travel. But when I heard they were changing (for the better!) I got excited, and curious to say the least. 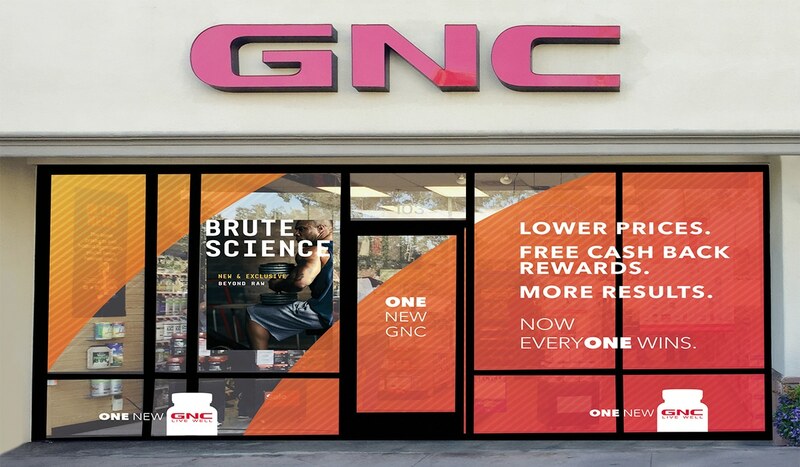 GNC now has a NEW focus. The GNC Learning Center Foundation So you can stay educated and up to date on health! In addition to all the cool tools and resources, ONE New GNC has new lower prices for everyone. No more membership needed. See, value for everyone. With myGNCRewards, you get points for every purchase you make, which translates to big cash back rewards. I’m digging it all ya’ll! Sign up for GNC’s new, free way to be rewarded, myGNC Rewards. All you need is some Plant Based Protein . 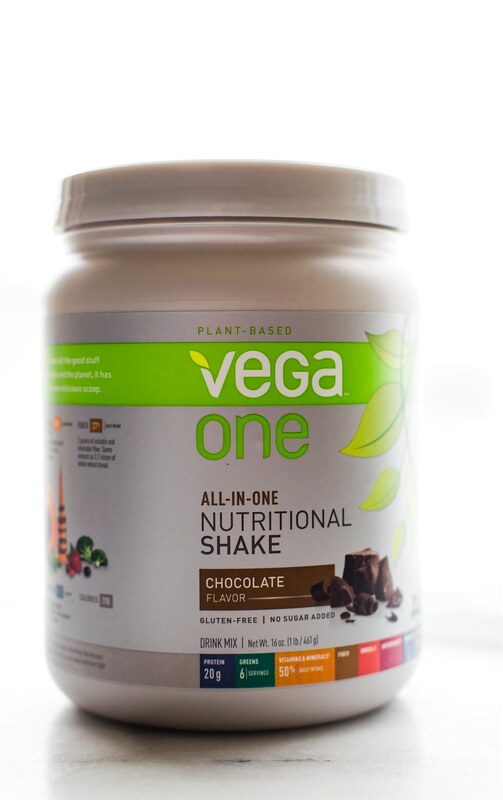 I bought the Vega™ One All-In-OneNutritional Shake from GNC. Love this protein. It’s packed with probiotics, greens, fiber, plant based omegas, plant protein, and has no added sugar. Then for the remaining ingredients you will need is banana, coconut oil, hazelnuts, and dark chocolate chips. Yep, that’s it. 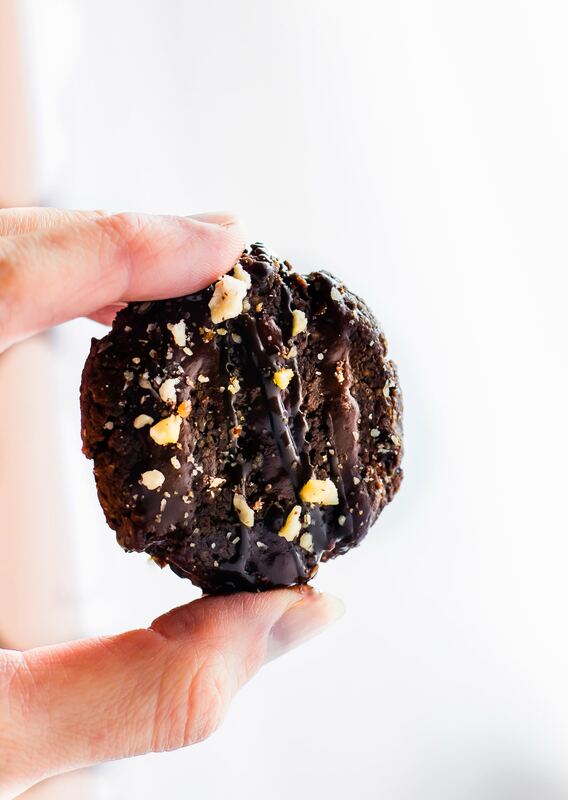 A nutrient dense breakfast protein cookie to kick start the day with a nutty cocoa taste? Um, yes, extra credit complete! Oh and extra hazelnut for the topping. Topping is a must! First Blend your hazelnuts and chocolate chips together in a food processor. Make a “mealy” base. It will be moist from the chocolate. Add in your banana and coconut oil and extracts. Beat until blended. Add in your sugar, protein, extract, and cocoa. Mix again until blended. Roll dough into golf size balls and place on greased baking sheet. Press flat with hand or back of spoon. Bake at 350F for 10-12 minutes or until cookies are browned a bit on the corners. They will still be soft but will harden later in fridge. 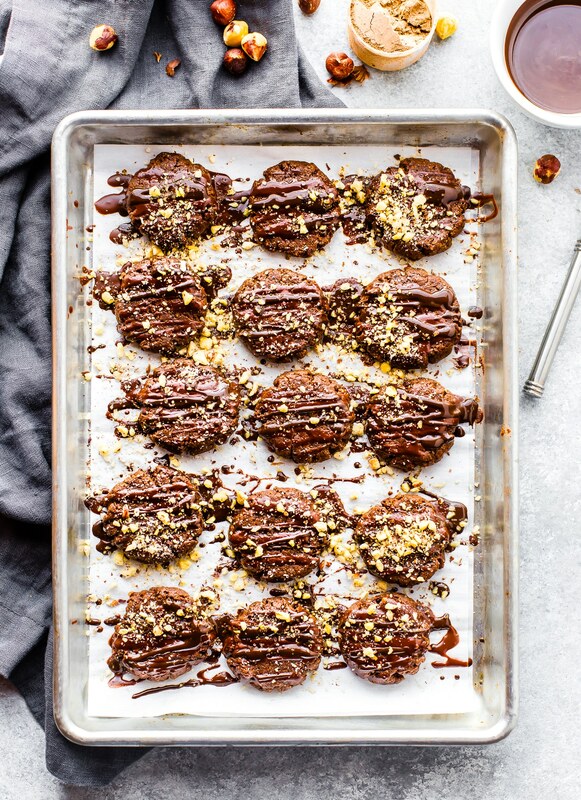 While cookies or cooling, melt extra dark chocolate and drizzle the dark chocolate on top.Then crush extra hazelnut (you can crush in ziplock bag or food processor really quick) and sprinkle on top. 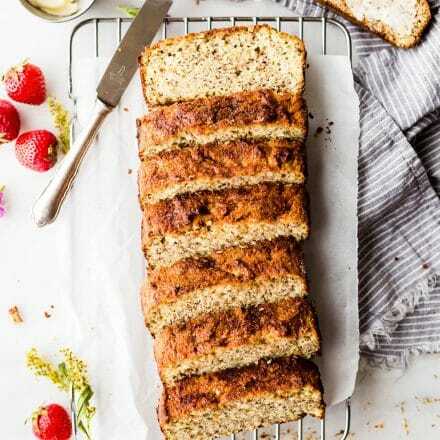 For best baking texture, use a plant protein with pea protein in it. We used Vega Chocolate All in One from GNC. Brown Sugar or Palm Sugar will also work in place of coconut sugar but are unrefined. You could also reduce sugar by using xylitol or baking stevia. The baking times will be a little different though so check cookies before 10 minutes if using a sugar substitute. 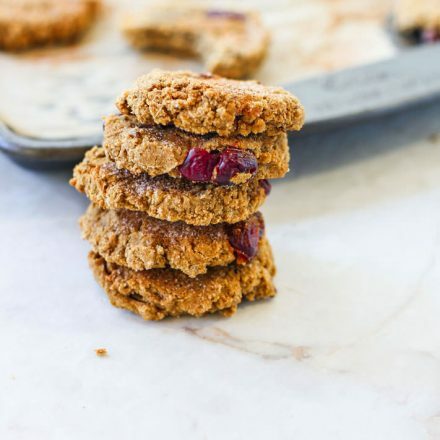 You see –> Flourless + Breakfast Protein cookies = EASY baking for the win! Favorite recipe to use plant protein? Please say these protein cookies. Haha. Kidding, maybe. 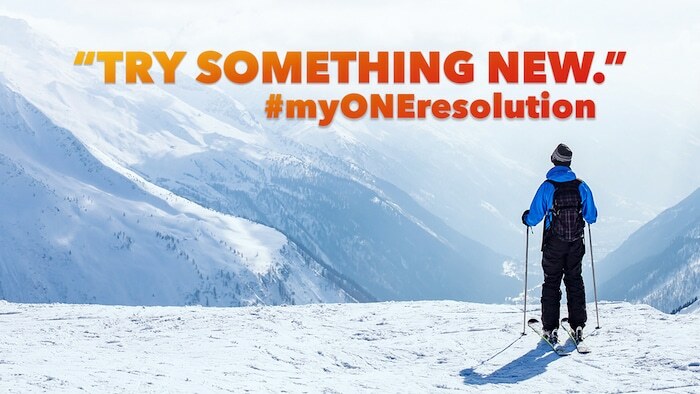 What’s one new thing you are going to try this year? P.S We are so gonna try cross country skiing soon. Um, when it’s above 28F because I’m a wuss in the cold. But I’m adjusting… changing. Keep up with GNC on social media. They are full of resources and healthy inspiration! Facebook, Twitter, Instagram, and Pinterest. This is a sponsored conversation written by me on behalf of GNC . The opinions and text are all mine. I had no idea they did away with memberships. Very cool! But these cookies are cooler. Hazelnuts must be used for often. Good luck with the skiing. There’s a reason I moved from WI to AZ! Haha I would melt in AZ. Let’s all move to Hawaii or NEw Zealand and make the best of both words. Ocean/Mountains! GNC always came across as a bit too body builderish to me, a bit too much fake stuff (Hello, quest bars). Glad that they are starting to bring in natural brands! totally! Which is why I was so glad they are creating new educational services, etc. Haha – heres hoping you have a BLAST cross country skiing! And lady, love these cookies – am all about cookies for breakfast so am all over these! Happy Wednesday friend! you are a good friend! Vegan cookie lovers rejoice! Oh they look amazing! 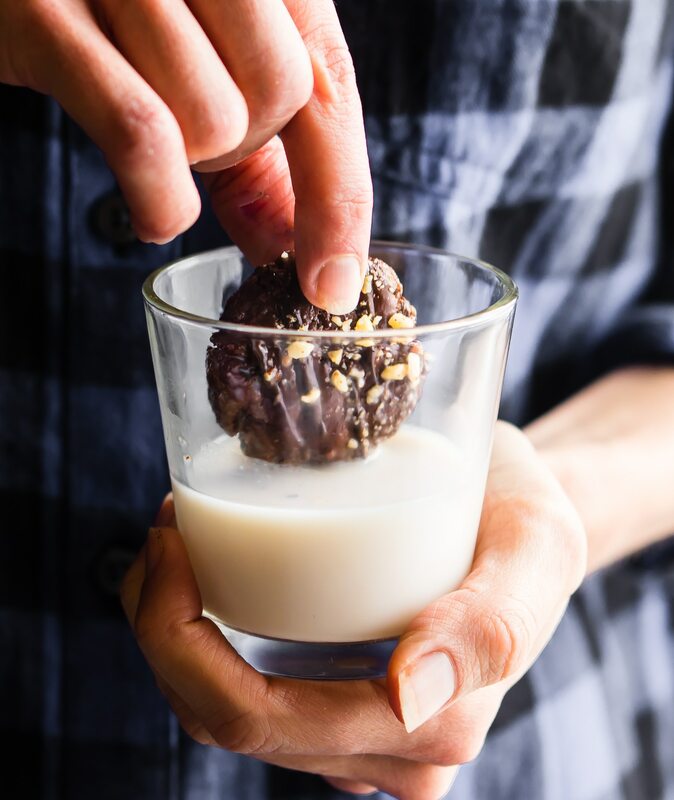 Sending the link to my brother – he loves protein bars and these cookies look like just his thing! for sure! love that about protein packed breakfast recipes! These look soooo gooood! Stunning photos! We are nut free at the moment (allergy testing coming up in March, fingers crossed). But will keep these in mind if we get the all clear! Oh I’ve been there. Can you have seeds or grains? they will work well with chia or another rice flour. 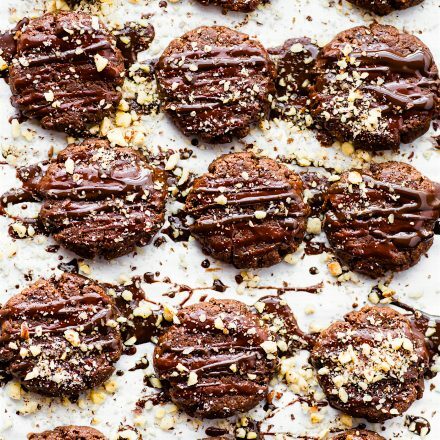 CHOCOLATE and PROTEIN together in one cookie? YES! And I’m so thankful that God changes me, because I would not want to be unchanged. I love that. Same here friend. God is good! 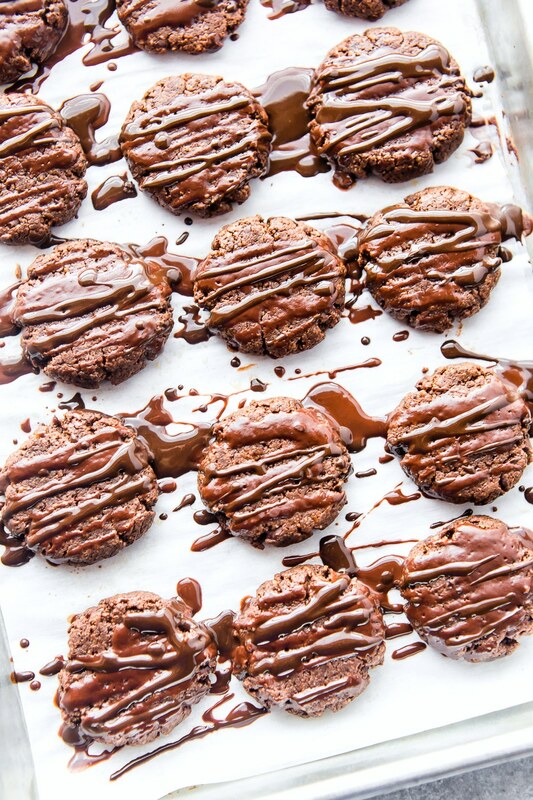 Chocolate cookies sound like the perfect way to start the day if you ask me! I love Vega protein powders too! Yum! I’ve never shopped at GNC, so I’m really happy to hear about the changes – will have to give it a try. I hope you are loving your new home! Be sure to pack along a bunch of these amazing cookies on your first cross country skiing journey – it’s a workout! Cookies any time are good!!!!! Oh man I’m being killed with cookies lately! 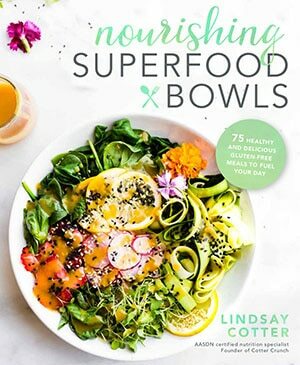 I made Taylor’s (Food Faith Fit) Cookie Dough Egg Muffins for the girls lasts week I think, Texin Erin’s Giant Chocolate Chip Cookies today, I’ve been living off Cookie Dough Smoothie Bowls (posting tomorrow) and now I WANT these! 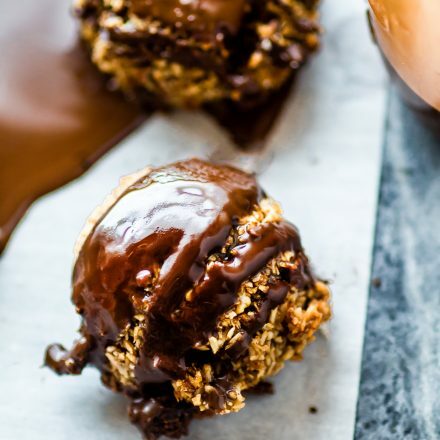 I love Vega protein (fav and only one I use) and I want to run over and kick the hubby out of the kitchen and make these. But he’s making bread so I should hold off until next week. They look so good though, and vegan protein cookies so perfect for breakfast! 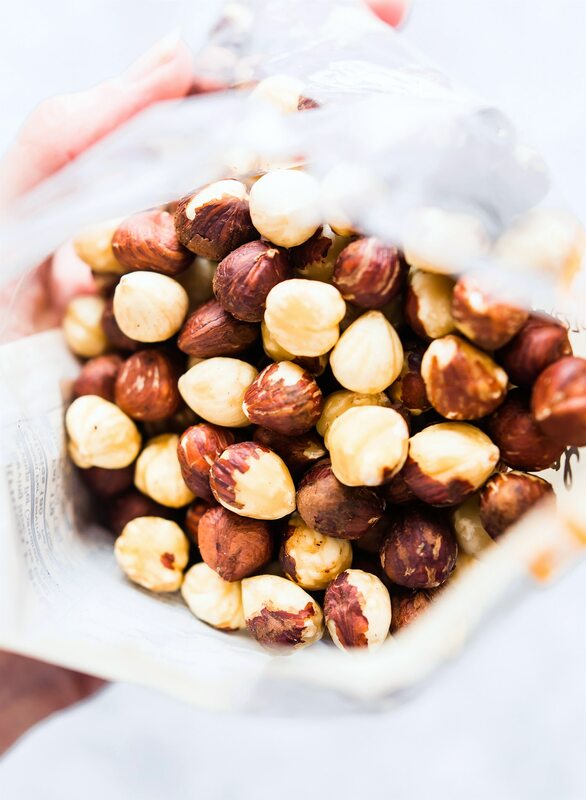 I have never worked with raw hazelnuts before, this looks like the perfect recipe to try! I love that they are plant based and still have so much protein ? Chocolate and hazelnut is a match made in heaven! I’d eat a couple of these for breakfast! Your photos are beautiful as always! thanks friend! best of both worlds, right? Cookies for breakfast! I know what we will be making for breakfast this weekend! I am going to have one happy family! yay! happy family, happy life, right? and cookies! I would love to sit around your kitchen table with you one day. Also these cookies make me want to do inappropriate things like shove them in my mouth by the fistful. Oh my gosh these look amazing. I don’t know that I could stop after just one. I’d end up having a half dozen every morning because they look that good. yes! you’re daughter will love! these are our go to breakfast cookies. Kid approved! Big kid approved. LOL! My wife tried these and trust me, my daughter enjoyed each and every bite with a big smile 😀 Even I couldn’t control my mouth. I have made a couple of batches of these cookies now and they are a huge hit! My kids ask for them and it feels good to know they are nutritious. I have subbed walnuts and almonds because that is what I had on hand and were still awesome! OH that’s wonderful Becky! I’m so glad you Kids enjoy them! Thanks for letting me know. Thank you so much for the recipe and inspiration. 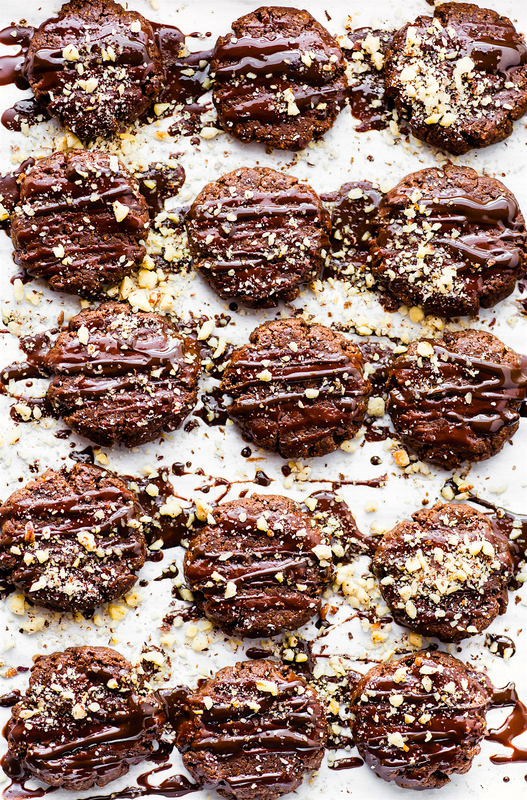 I call it inspiration because I made them sugarfree, substituted hazelnuts with almond meal and chocolate chips with dark chocolate with spoon or twoof coconut oil. Will keep experimenting with nuts/seeds and differe protein powders. oh wonderful! so glad. Let me know how the next batch goes Audrone. How would increasing the amount of banana or adding in apple sauce (either or, how much? ), in place of sugar, affect the consistency and taste of these cookies? YOu could try adding in half a banana more. Not sure about it though. Do you need a sugar free alternative? Hey, I had a couple of questions. I cannot eat chocolate due to migraines, and hazelnuts are quite expensive. 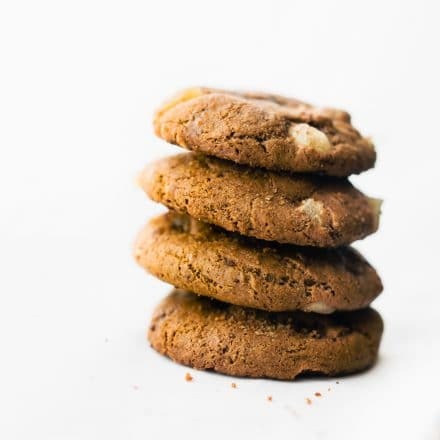 Do you have any other protein cookie recipes or ideas with vanilla protein powder and maybe sunbutter as an alternative? I am trying to find some GF/DF/Peanut free/chocolate free lower calorie make ahead breakfast options. Thanks, I know that is a LOT of restrictions, any help is appreciated! No prob! I would try using vanilla vega or vanilla protein of choice and then maybe cashews or almonds. Can you have that? 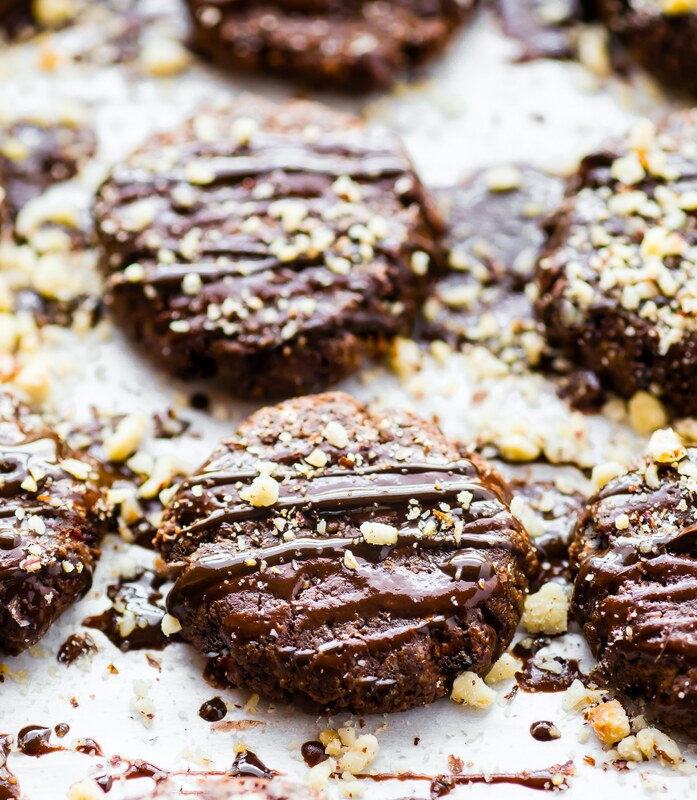 Can’t go wrong with cookies + chocolate for breakfast! Amazing recipe! I’ve added shredded coconut as a topping. I’ve substituted mixed nuts for the hazelnuts and almonds. I’ve also done without the optional added melted chocolate topping, but realize it’s not optional but rather required to include as a topping. Fabulous cookies that even people who are not vegan love. This has become a staple sweet satisfying recipe in my house. oh I love the topping! great idea janel! These looks SO good, can’t wait to try them! If I use hazelnut meal, do you think I can just weigh out 8oz?